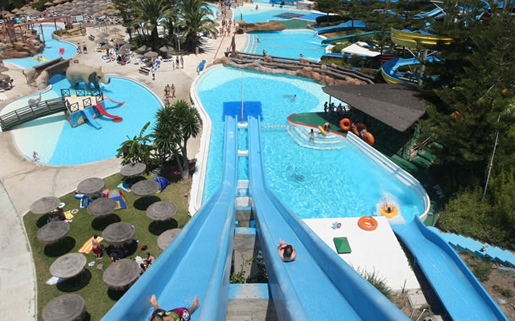 Water Parks, Parque Aquático Mijas, Andalucia, Aqua Parks and Entertainment in Andalucia, Southern Spain. Kamikaze slides make for great races. 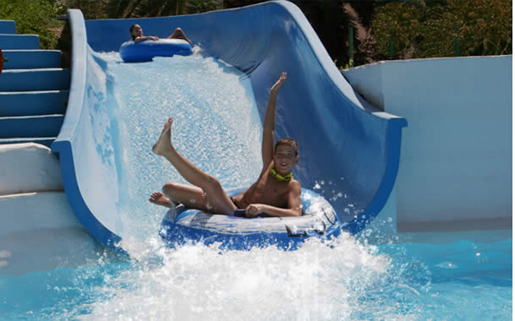 As well as the kamikaze, black hole, and rio bravo, this water park has a wave pool, and a new children's attraction for 2014 called Lizard Island, with small pools and showers, connected by paths and bridges. Mini-golf and live entertainment shows. Shady picnic area. 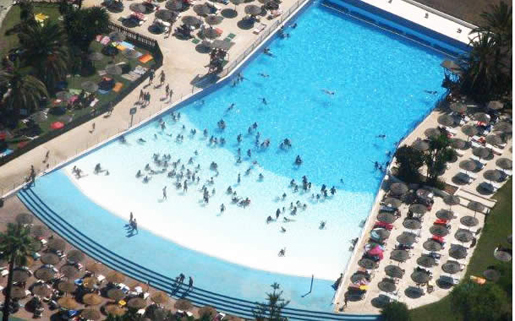 Relaxation and fun in the wave pool. Grab a rubber ring and hit the Rio Bravo.